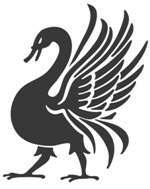 As you no doubt know, I’m the publisher over at Raging Swan Press. It turns out I’ve got too many Raging Swan Press books! In between ordering proofs, copies for friends and trade samples I’ve ended up with more copies of some books than I need. For example, while All That Glimmers is an excellent book, I don’t need six copies! All the books are new and in mint condition. The book’s cover either has a matt or gloss finish depending on which printer they came from. I’ve noted which book have which finishes in case you have a preference. If I wrote the book, I’m also happy to sign it for you, if you’d like. I’ll update the list as the books sell. If you want a book (or two or three) email me at creighton [at] ragingswan [dot] com and we can work out the details.